ExtJS와 Angular2의 기술적 차이점에 대한 질문을 받게되어 어떻게 대답을 하면 될까? 를 고민하다 정리를 해본다. ExtJS 는 일부 기능은 무료 오픈소스이지만 전체 기능을 사용하기 위해서는 유료이다. 현재 v6 까지 나와있다. 또한 최신버전은 Sencha라는 이름으로 통합되어 나오고, 현재 ExtJS v6 버전을 다운로드 받아 사용할 수도 있다. 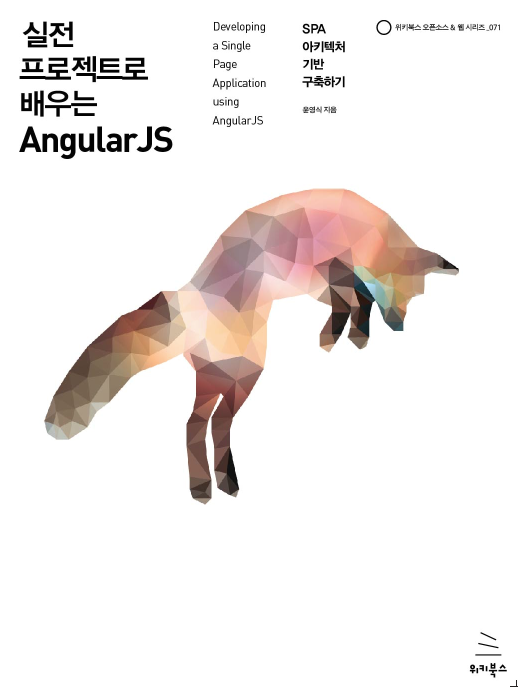 따라서 ExtJS나 Sencha 에서 이야기하는 장점이라 말하는 부분을 토대로 Angular v2와 비교해 보기로 한다. 참조는 Top 8 Reasons Why Enterprises Prefer Sencha ExtJS over Angular 문서를 보고 ExtJS 쪽은 영문 요약을 간단히 했고, Angular 쪽은 영어로 작성해 본다. This document is to write differences between ExtJS v6 framework and Angular v2 framework. I reference the ExtJS site (Top 8 Reasons Why Enterprises Prefer Sencha ExtJS over Angular) and I write my opinion about Angular. *caution: AngularJS is Angular v1, Angular v2 or Angular is Angular v2. ExtJS is ExtJS v6. + ExtJS contains components that are optimized for both desktop and mobile devices. + customize the theme. mobile apps can be themed to achieve an iOS, Android, BlackBerry the look and feel. + Angular does not come with a component library. + Angular can easily make components that are usable anytime. If we want to use components i.e grids and charts, we can use the components that have already been made by many companies and open source developers. + Developer can build an application with components and can also use the current web technology such as Web Components together. + Angular component architecture is a component-tree for improving performance to render web page views. This architecture is implemented in the ReactJS Framework from Facebook as well. + Angular can easily merge with the more popular CSS Framework such as Twitter Bootstrap, Material Design, Semantic UI and Foundation which can be customized to match with any company brand. One of these can be chosen for any brand style. + Angular is a platform for the web and mobile. Ionic v2 is a Hybrid mobile app framework. It is based on Angular v2 and has tools that can rapidly develop an app. So, the hybrid app can be developed using Angular in a friendly code style. The hybrid app gives customers a better UX(User eXperience) than mobile browsing. + Ionic v2 using Angular has lots of mobile components to support the look and feel for different mobile platforms such as iOS, Android and BlackBerry. We can also customize these styles. + It is launched in 2007. + It has long-term success. + Angular v1 was launched on October 20, 2010 by Google. + Angular v1 also has had long-term success i.e NBC, Intel, ABC News and approximately 8,400 other sites out of 1 million tested in July 2015. + Angular v2 already has an upgrade tool to migrate v1 to v2. + ExtJS has MVC(Model View Controller)/MVVM (Model View ViewModel) architecture. + ExtJS comes with an extensive component library. + Angular has MVC/MVVM as well. + Angular is easily customized for any application's architecture. It can be applied to the one-way data flow architecture like Flux from Facebook in order to easily manage any application's state. + Angular is an open source framework so, many developers and companies open their components like grids or charts that have been used within their applications. If there are components with any issues, many contributors can solve the problems in the open system and components can easily be downloaded from consistency tools such as NPM (Node Package Manager) or Bower. + Angular v2 is a new platform for the modern web environment including Web Components, Reactive Programming and Immutable state to solve some issues which Angular v1 experienced. Applications can be developed to be more stable with better performance using these concepts. + Angular can support IE 9 (link). + If IE 8 is to be supported, poly-fill can be used to support the lower version but MicroSoft has already stopped updating IE 8 securities. So, this version is not recommended because of the danger of hacking. + Senchar has several tools including Senchar Cmd, IDE Plugins, and Senchar Inspector that developers can use to speed up their application development. + Angular uses the Gulp or Grunt tasker that can extend plugins which are required. + There are IDE Plugins (WebStorm, Atom, Sublime Text, MS Code) for Angular and developers can check out an application's performance with Angular Inspector under the chrome extension as well. + Angular uses the NPM (Node Package Manager) or Bower that all front-end developers use to manage the packages and components for any application. + Angular is oriented to use common tooling set in current front-end environments. So, the developer can use these tools in a friendlier way. + TypeScript is a superset of ES2015 and has more features simply to code any sophisticated application such as Decorator. Typescript also includes a feature that transpiles code to ES5 or ES3 code, so it can be released into the production environment without worry. + TypeScript can support the Static Type Checking System during the development period. TypeScript can automatically suggest some problems in code so, the developer can recover the mistakes which occured in run-time. + If the developer has experience with Java or OOP, they can easily learn TypeScript. It is not a weakness, but rather a strength. + Sencha has an excellent set of design tools. + Sencha Architect is a perfect tool to create clickable prototypes. + Angular doesn't have a design tool because it is optional. If it is needed, other professional design or mockup tools can be used . + Ionic v2 based on Angular v2 also has a design tool such as Ionic Creator for mobile and has a testable native app in several mobile platforms (iOS, Android) such as Ionic Viewer. + The Angular team has been working closely together with the Ionic team. + Sencha has excellent support and training teams. + Sencha has a professional services team that can assist with a variety of enterprise development needs. + There are several professional Angular training companies such as Rangle.io and Egghead.io. + Global conferences are always held several times annually such as NG-Conf. + If developers want to learn Angular, they can easily get a huge range of materials like books, videos and online courses. + The Angular team at Google consists of 20 full-time developers and there are over 221 contributors for Angular v2. + It is not a level playing field when comparing ExtJS with Angular in my opinion. ExtJS is a good framework and has a full set of tools for web development but it can restrict customization needs, because developers can just play around with ExtJS's environment and architecture. The current web trend - software and hardware - has been changing quickly so if some applications need to be adapted into the current environment, Angular v2 would be an excellent choice. Angular v2 can provide any company lots of opportunities to improve the UX and performance for applications but more time needs to be invested learning this framework.